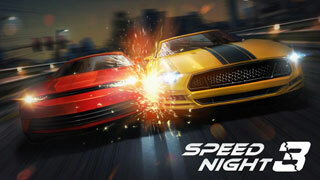 Game Speed Night 3 is a simple mobile platform racing game. 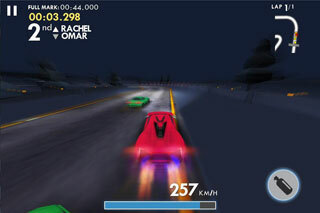 Take part in absorbing races through the night streets. 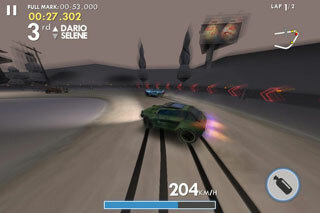 Speed through the winding track overtaking all your opponents. 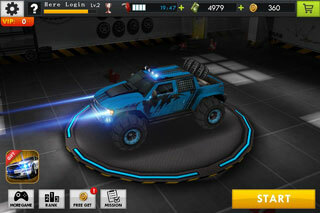 Become the best driver of this metropolis in this dynamic game for Android. Get behind the wheel of a powerful car and step on the gas. Accelerated to the crazy speed and maneuver in traffic. 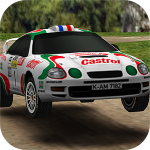 Avoid collisions with walls of houses, other vehicles and other obstacles on the way. 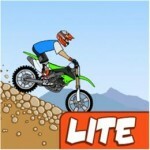 Show the best time on each track to get a prize. Buy new cars and improve them. – 64 different stages, raising difficulty. Win the game, and become the most famous rider.